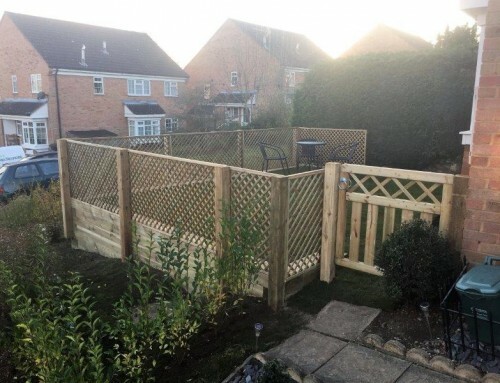 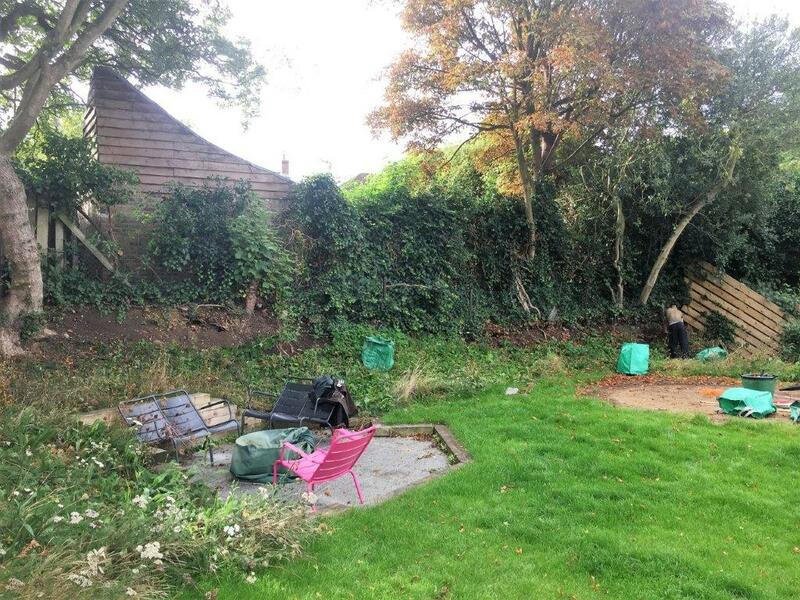 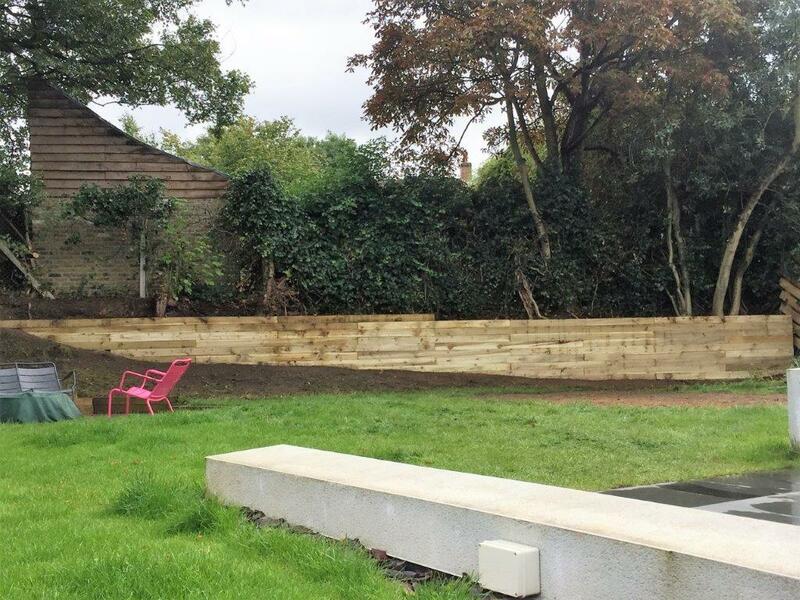 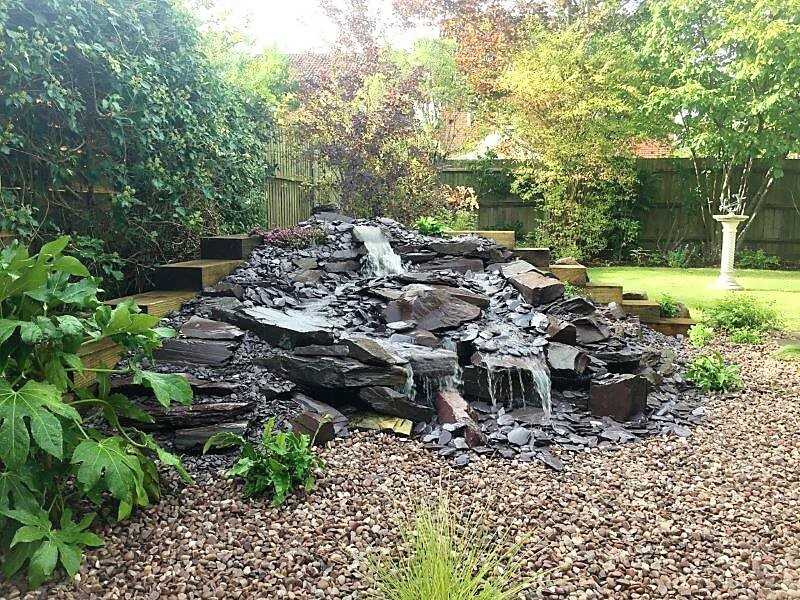 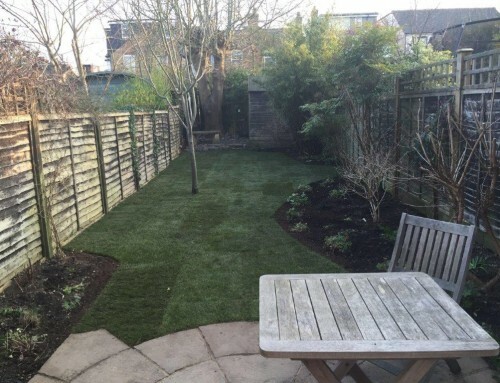 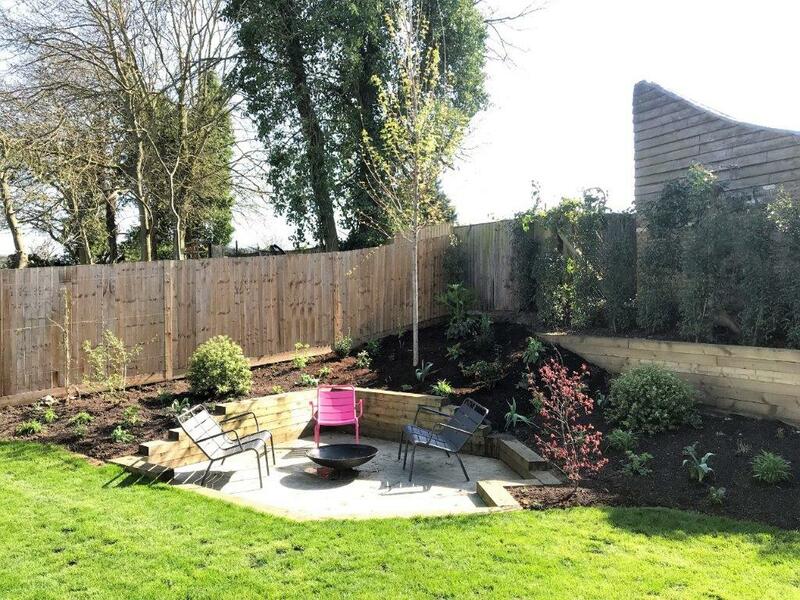 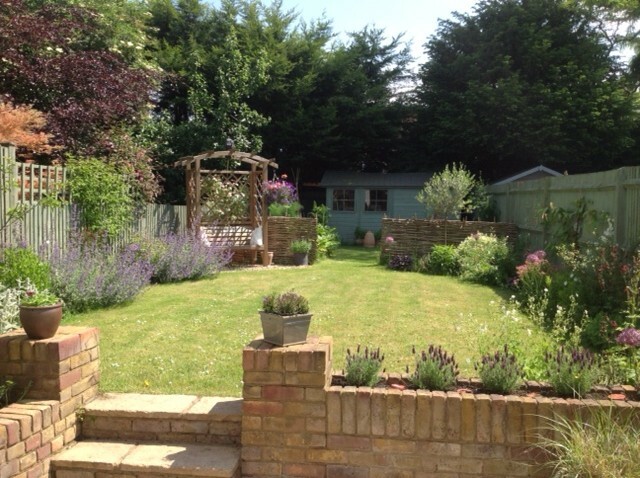 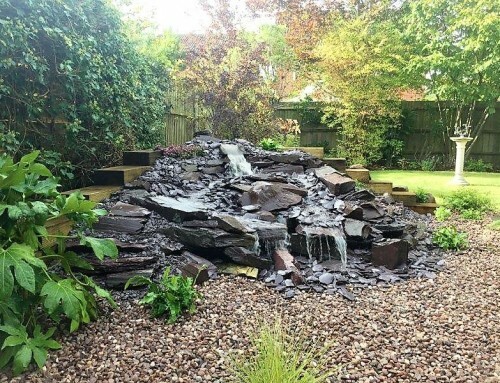 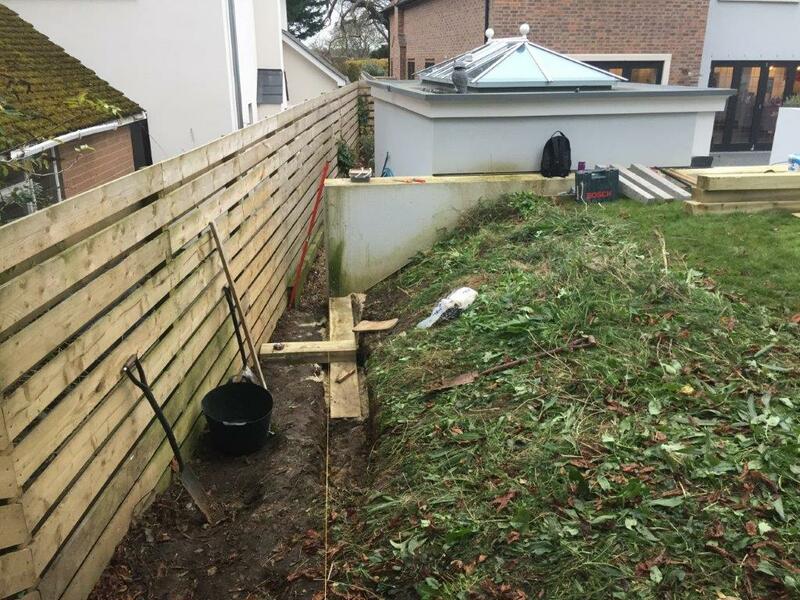 We were asked to overhaul this garden with new steps and planting to the side and a raised bed with retaining sleeper wall at the back, to create a relaxing seating area for the summer months. 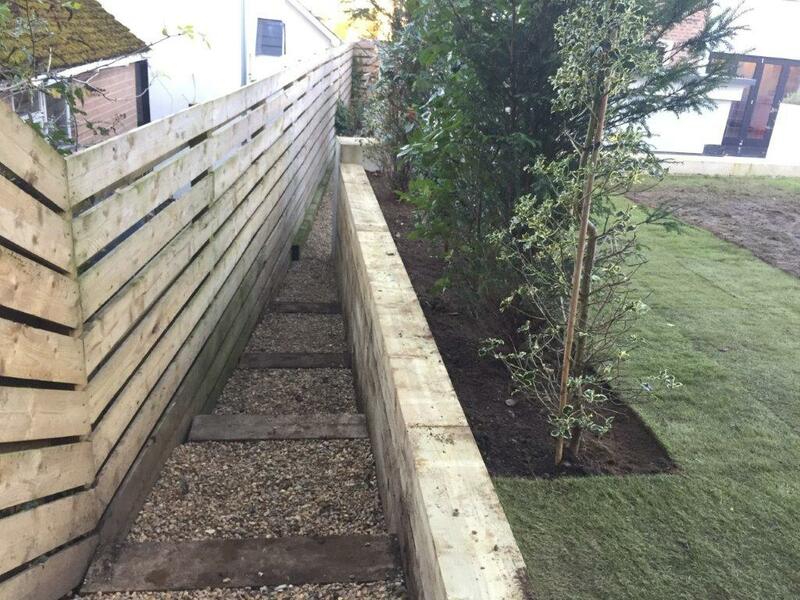 On our first visit we added a set of chunky sleeper steps to give access to the lower area. 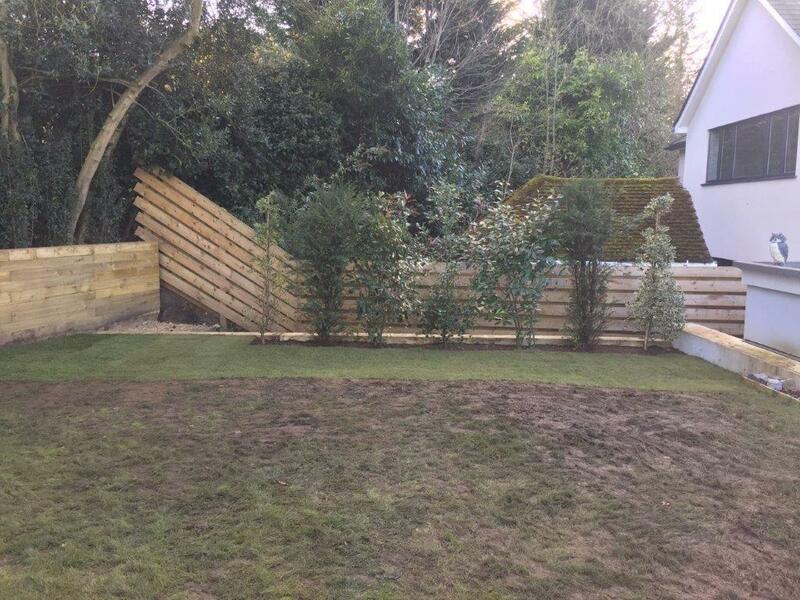 This was finished with a row of shrubs to soften the look. 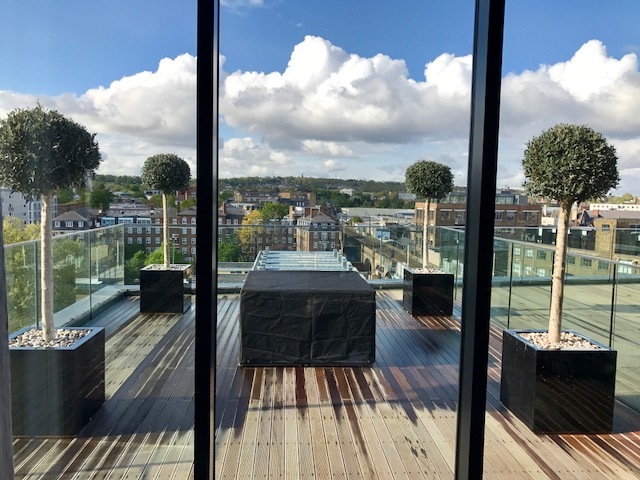 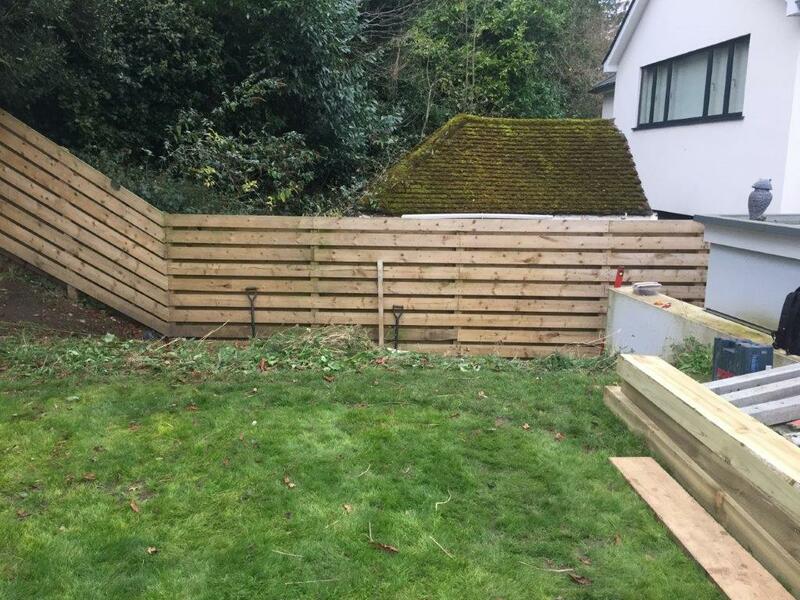 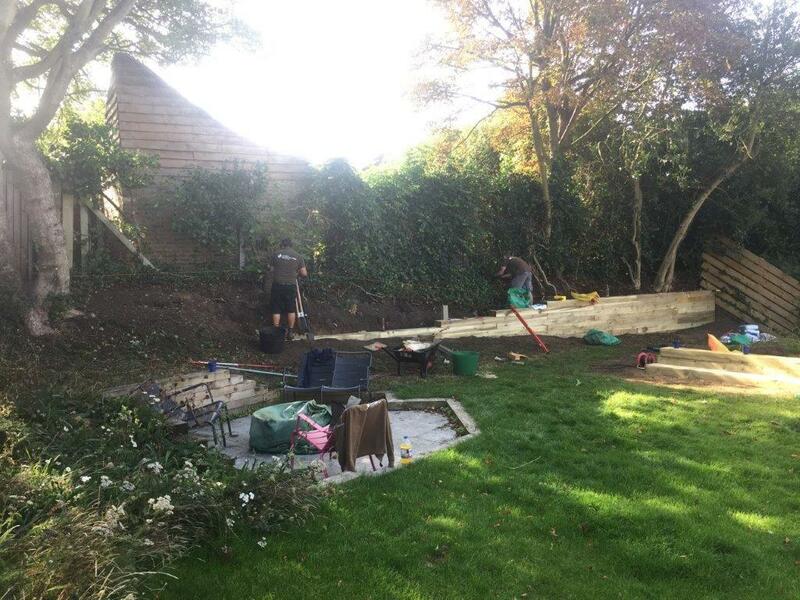 On our second visit, we set about creating a solid timber wall at the back and a raised bed with stylish planting, to surround the sunken seating area. 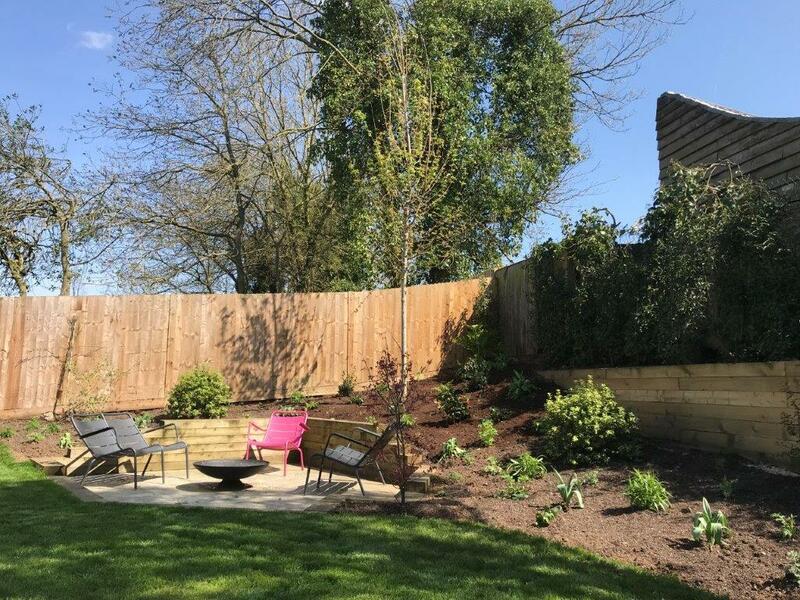 Finally, we also planted a beautiful cherry tree, for a lovely splash of colour.